BOGOR, Indonesia (25 January, 2013) – Easy to grow, even on steep, marginal land unsuitable for other crops, bamboo has the potential to lift people in rural communities out of poverty, but only if management techniques and trade improves, a case study in southwestern China indicates. 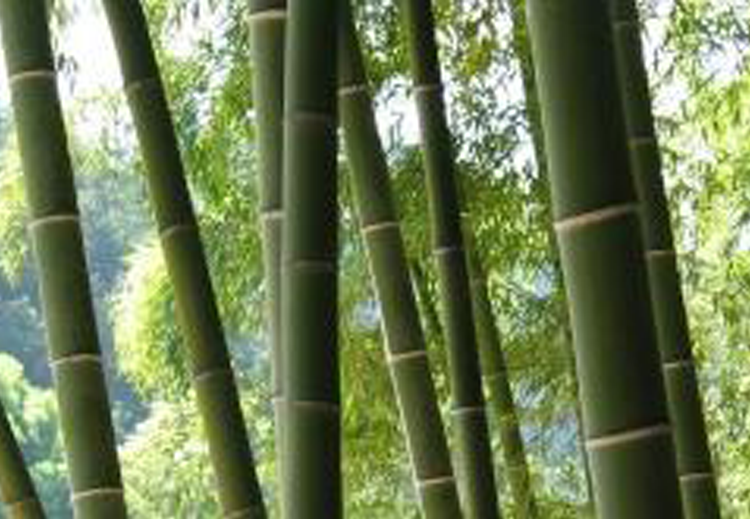 An estimated 2 billion people across the globe use bamboo on a daily basis to produce everything from household utensils and handicrafts, to scaffolding for construction sites, according to INBAR. Increasingly, though, bamboo also is being recognised for its beauty, durability and flexibility, turning it into a hot, internationally traded commodity, and making it a key resource for livelihood development. 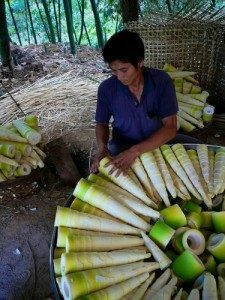 But in some underdeveloped regions of China, despite ideal growing conditions, local access to bamboo stock and a thriving cottage industry, the potential is not being reached. “Our research shows that smallholder cultivation of bamboo shoots can make an important contribution to household income and rural livelihoods in impoverished, mountainous regions of China that have limited off-farm income opportunities,” said Nicholas Hogarth, lead author of a recent CIFOR report, adding that the 12 villages surveyed in Guangxi had little or no knowledge about proven scientific techniques to optimise productivity. Few studies have been carried out to determine how policies affect profit margins. 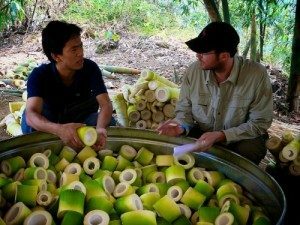 “Much more research is needed to determine the full extent and potential role of bamboo production,” Hogarth said. CIFOR researchers collecting quantitative data from 240 households in Guangxi province found that forest-based enterprises such as bamboo production often represent the main, or even the only, industry and cash earning opportunity. From a sub-family of grasses, bamboo is in many ways an ideal crop for the rural poor. 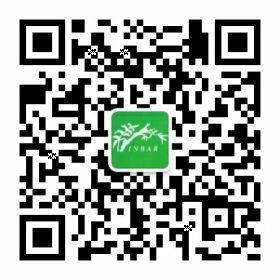 Its clonal growth form, rapid growth rates and short rotation cycles, enables annual income generation, unlike the long harvest cycle for timber trees. “This is a very important attribute given the limited size of most household’s allocated forest land area,” said Hogarth. Bamboo also has less policy constraints and regulations compared to timber, authors of the study say. And, unlike timber, bamboo is relatively light and can be easily harvested and transported without specialised equipment or vehicles. “Bamboo production does not require special tools, and there are many skills in bamboo production that are common to agricultural crop management – such as soil cultivation and fertilisation – that are easily adapted,” Hogarth said. China’s bamboo plantations underwent big growth from the 1950s, and experienced another rapid expansion in the 1980s following a series of conducive policy reforms concerning markets, commercialisation, land tenure and forest-use rights. This paved the way for increased smallholder investment in and management of plantation forests. A fifth of the world’s bamboo comes from China, the FAO documents, with more than 600 species, according to a United Nations Environmental Program report: Information for planning conservation and management in the Asia-Pacific region. And it is estimated that more than 90 per cent of China’s bamboo is in upland areas, which is also where poverty is concentrated, the CIFOR researchers cite the World Bank as saying. Bamboo has featured in many poverty alleviation and reforestation programs such as China’s conservation of Cropland Forest programme, in which direct payments are made to households that convert their sloping cropland in to forests. However, most farmers’ knowledge about management is limited to small-scale plantings of ‘village bamboo’, and wild bamboo is used for domestic purposes rather than commercial production. Researchers said that half of the 12 villages studied had suitable conditions for bamboo cultivation but no commercial industry. They looked at Nabi Township, for instance, where households have low-cash income levels and seemingly few options to make on-farm cash. Farmers in half the sample villages in Tianlin, the report notes, had little or no bamboo despite ideal growing conditions and local access to bamboo stock. It suggests these villages may be ideal ones to introduce development-oriented interventions and bamboo-based poverty alleviation programs. First, however, there must be more information on the contribution of bamboo incomes. Hogarth recognises conducive forest and bamboo policies and programs that have helped promote bamboo development, but says there is also a general lack of quantitative data on the value of bamboo income – cash and subsistence – to household economies. There also is a lack of information on the effects bamboo policies are having on rural livelihoods and poverty alleviation, he said, and if and how they could be improved. “In such areas where off-farm income opportunities are limited, more attention should be given to improving the income of existing forestry enterprises such as bamboo shoot production” Hogarth said. The new publication forms part of the CGIAR Research Program on Forests, Trees and Agroforestry and was supported by the Australian Agency for International Development (AusAID) and Charles Darwin University. This article originally appeared on ‘FORESTS news’ on 25 January 2013, and is re-posted with full permission from the author. Click here to view the original post.